Is the fabric on your favourite chair damaged, out-of-date or just seen better days? Before you throw it away, read this! Just because furniture appears to be damaged on the outside doesn’t mean it can’t be restored. 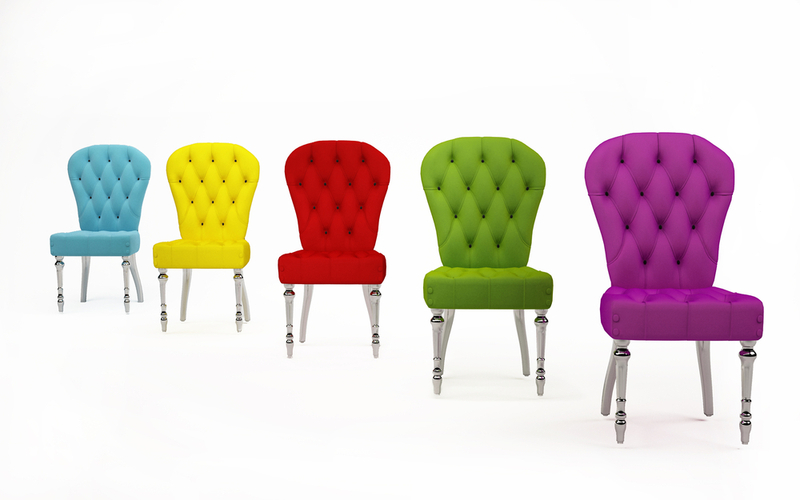 The trick is knowing how to choose upholstery fabric for a chair to suit your home. There is so much to consider but these tips will help you bring new light to something old. What chairs can be reupholstered? You have stumbled upon the perfect wing chair at a garage sale, unfortunately the patterned fabric doesn’t suit your décor. You have a decision to make, buy it and get it repaired or let it slip away. Not everyone knows the ins and outs of what chairs can be reupholstered and what fabrics work the best for certain needs, but it isn’t impossible to learn. Dining chairs—While linen is commonly used for formal dining rooms, nylon is the popular option for seat pads around the family dinner table. It is best to keep prints a light solid colour or with a slight pattern. Keep it simple because there will be several chairs and large patterns can become overwhelming. Armchairs—This includes wing chairs, occasional chairs and feature chairs. Linen is popular for wing chairs but consider something a little more stain-resistant if you are prone to spillage. Depending on the style of your armchair, this is your chance to have a feature piece. Something bold, bright, monochrome; all of these can work but it is dependent on the type of chair and, ultimately, your décor. Lounge chairs—Whether it is leather, suede or a cotton blend fabric, it needs to be a durable material for your lounge, sofa or recliner. Being a large piece of furniture it is ideal to aim for solid colours, something a bit more subtle and nothing too in your face. Reupholstering chairs is major surgery for furniture. One wrong decision could be disastrous for your piece. First things first, you must check the frame of your furniture to ensure it has a sturdy construction, that the corner braces are intact and the structure is in overall good quality condition. Now it is time to choose your fabrics. There are so many options available when it comes to reupholstering, which at first may seem exciting. You have the chance to add your own style and flare to a much-loved piece of furniture, but when you realise how many different kinds of materials and fabrics there are, it can become very overwhelming. What are natural fibres? They are materials that have been produced by animals and plants. Natural fibres are a great option for those who suffer from irritations or allergies. Cotton—There are different grades in cotton but for the most part it is a durable textile; it is soft, easy to clean and absorbent. Unfortunately it isn’t very resistant to wrinkling and it also fades easily, which means it should not be used on chairs that will see a lot of sunlight. Cotton is known for not being very resistant to stains and requires constant fabric protection to reduce the risk of blemishes. Linen—Linen is resistant to fading and pilling but just like cotton, it isn’t very resistant to stains or wrinkles. It is great for absorbing moisture, which also comes with its own risks; if you live in high humidity regions then the level of maintenance required will not be worth your time. As a result of high humidity, it is common for linen to grow mould and mildew. Leather—Leather is typically a robust material that is very easy to clean. It is a tough fabric that softens over time and develops more character with years of use. Leather offers many finishes and several grades that offer varying levels of strength and durability. Silk—Silk is best known for its luxurious feel. It is smooth, has a natural shine and is unsurprisingly beautiful to touch but it also has strong fibres. It is a resilient fabric but it is also easily damaged by sunlight and is expensive. Acrylic—Acrylic is durable, quick drying and resistant to sun damage. Due to being such a tough textile, acrylic is typically used as an outdoor fabric. Nylon—Nylon is durable and perfect for everyday use. It is stain-resistant, resistant to abrasions and wrinkles but it does not hold up well against sunlight. Polyester—Polyester comes in a few forms. Traditionally it was not very tough and was commonly known for pilling; however, since the introduction of polyester blended with microfibre, it now has great resistance for stains, wrinkles, abrasions and sunlight. It is durable and made to last! Fabric durability—If the chair is to be used in the main living area and will be used frequently then a heavy-duty fabric will be required. Polyester or nylon are great options if you have pets or children, silk would not last long in this environment. Colour and patterns—The colour and pattern should complement the style of furniture and surrounding décor. Use textures to incorporate depth into your room, woven fabrics offers a homey feel where crisp textiles represent fresh and open. It is important to remember that prints are more inclined to fade. Fade-resistant—Natural fibres are more susceptible to fading so it is crucial, that if you opt for this type of fabric, to place furniture out of rooms in which the sun is largely present. Reupholstering furniture is a big investment which is why you should choose fabric that will update and reinvent your piece. Learning how to choose upholstery fabric for a chair is not easy and sometimes you will need help from a professional. Learn how to choose upholstery fabric for a chair and give your furniture a new lease on life, get in touch with Lounge Repair Guys today on 1300 101 510!